I would like to change the login screen keyboard to dvorak-fr but I can't find a way and the keyboard for login is in qwerty. 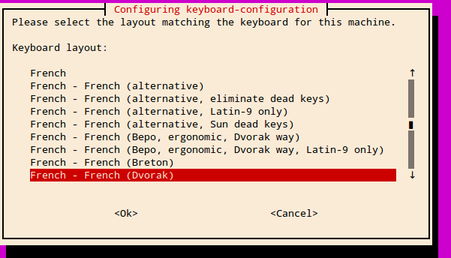 The keyboard indicator in Greeter say "No other layout available" and tty1 is in dvorak-fr as expected (as well as my session once I am logged). First open Language & region and add required language and layout. From now press Enter and continue for remaining options till end. The window would probably say something like language not properly installed. CClick on it and let it install. That's about it. Not the answer you're looking for? Browse other questions tagged greeter or ask your own question. How to change Super + L screen lock command?